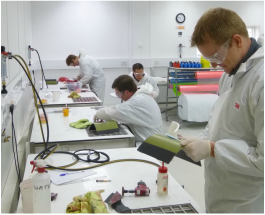 This course provides comprehensive training, understanding and application of a full range of repair techniques to composite mouldings, from cosmetic through to structural repairs. 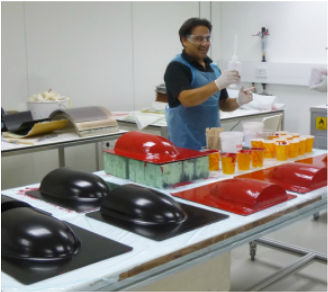 Emphasis is on understanding failure modes, recognising materials and production process, and correct use of tools, abrasives and dust extraction in order to apply effective repairs. 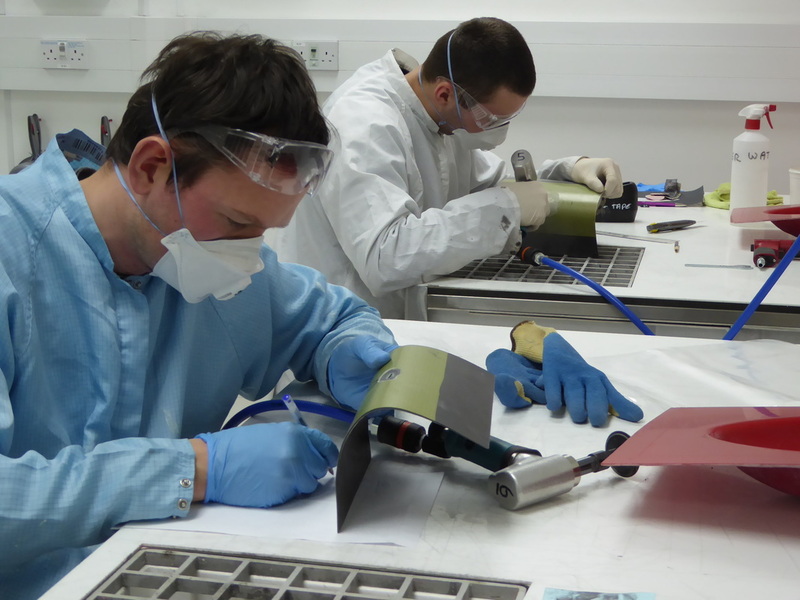 This course is suitable for anyone involved with repairs to composite materials, including repair technicians, supervisors, engineers, designers, researchers and managers. As training providers it is our responsibility to ensure training is up to date and taught to the highest standard. To assist with this we have aligned our repair courses with the requirements of the SAE’s AIR4938 standard, 'Composite and bonded structure technician/specialist training document'. This standard was produced by the worldwide 'Commercial Aircraft Composite Repair Committee' (CACRC) and defines the foundation content and structure for composite repair training that is applicable to all industry sectors.Our stage 1 and 2 composite repair courses already covered cross sector repair techniques with a full range of materials, processes, tools and techniques and were already 90% in line with the AIR4938 standard. As all our courses are already in line with the UK’s National Occupational Standards for composites and fully documented to the UK’s Qualifications and Curriculum Authority requirements, it was a relatively easy task to cross reference to the AIR4938 standard and add 10% more technical content to our repair courses. The end result is that all our customers benefit from the work we do for aerospace. The course will cover approximately 28 hours of practical throughout the week and 12 hours theory and practical demonstrations. 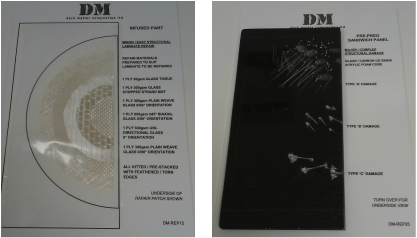 All the components for repair will be supplied to you, ready made as this ensures consistency of the components, maximising your time repairing various forms and working with a selection of materials. You will damage these parts and then complete 8 composite repairs, ranging from cosmetic through to structural repairs where damage has gone through the component. These include working with gel coat repairs for a perfect finish, sandwich panel repairs, pre preg, temporary and then permanent repairs. We will look at the reasons why composite components fail, for example; delamination, disbonds and fibre breakage and the types of damage including impact and puncture damage. You will cover material identification, the type of fabric and fibre being used, identifying the production method and working out how best to go about the repair. Before you begin the assessment task, all the training tasks completed will be reviewed and discussed in the group. Destructive testing will be carried out on the structural repairs to inspect their integrity. Each task is designed to convey a new technical detail, building on from the previous task. Feedback is given from our tutors throughout the course and discussion is encouraged. At the end of the training course, conclusions are discussed as a group which will show which techniques work best.